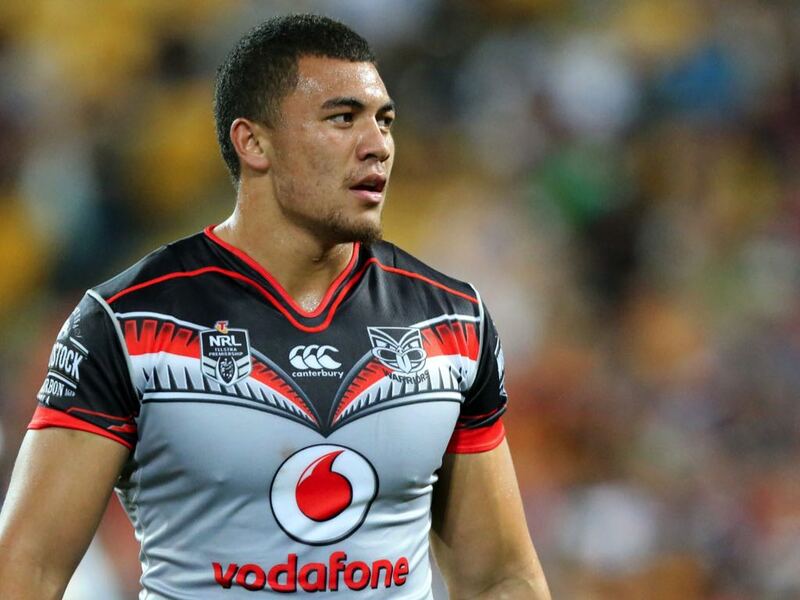 As the 2016 NRL Season winds down to an end, it's a good time to look back over a season that offered so much promise for the NZ Warriors yet delivered that all too familiar feeling of let down come seasons end, leaving fans ponder what went wrong and wonder if we'll ever get it right. While some players certainly played at a level that is required in what is highly regarded as the toughest comp in the world, others were well off the mark and nowhere near the standard they've set themselves over previous seasons. 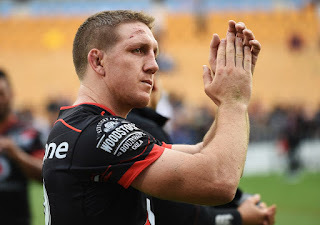 While I completely understand that it's virtually impossible for players to avoid hitting a dreaded form slump, it's inexcusable and quite frankly, it's close to unforgivable watching some of our "stars" look like they'd rather be anywhere else other than in a Warriors jersey. Let's take a look at how each player stacked up in a season that will go down in history as yet another that got away. Taking over as club captain to start the season added extra responsibility and expectations to the experienced shoulders of this seasoned campaigner. At times the body language portrayed from Hoffman suggested that he, on more than a handful of occassions, questioned what he had gotten himself into and what, if anything, he could do to lift his troops to the level of expectations that he is accustomed to. While it's obvious the 280 game NRL veteran wears his heart on his sleeve in every game he plays, it also looks as though Father Time may be catching up on him. With a total of 314 First Grade games (290 NRL, 34 SL), 7 for NSW City, 14 for NSW Origin and 7 appearances for Australia, it seems as though the wear and tear on the body may be starting to take a toll. Needs to share more of the defensive workload with his partners in crime in the backrow during the 2017 Season as his numbers in comparison for 2016 just aren't up to scratch. As is the case with most seasons that end in disappointment, it's important to look back and reflect over the season that was and acknowledge the diamonds in the rough that shine through and offer that glimmer of hope for the future. Averaging just a tick over 45 mins a game in his 4 first grade appearances was all that Afoa needed to make fans of not only the Warriors but Rugby League in general sit up and take notice. Providing much needed enthusiasm to the side, Bunty also offered a little bit more to the back row that often comes under scrutiny for being too one-dimensional. In 187 minutes of First Grade, Bunty managed to score 2 tries, make 2 line breaks, complete 106 tackles and miss only 3 in the process and earn the side 276 running metres along with 3 tackle breaks. This kid looks likely to have a big future and I for one cannot wait to see more of him in 2017. A player that, at times, can face a little bit of unfair criticism. People tend to either forget or simply choose to ignore the fact that in every squad you need to have players who are there as depth and cover for either injury or suspension to those ahead of them in the pecking order. You cannot pick 25 players that are all close to the best in their preferred position. As a "depth player" Allwood filled his role adequately. While looking like one of the better performing players in Reserve Grade during the early parts of the season, he was eventually rewarded for that form with selection in the Top Grade. There were some glaring errors he made with his defensive reads and he needs to remember that the team must defend as a unit to be successful. Allwood was guilty of rushing out of the line on numerous occasions which did nothing but add more pressure to the side during times which already saw his team-mates on the back foot. Maybe a case of being too keen to show he was worthy of the promotion or possibly a sign that while he performs and looks the goods in reserve grade, struggles to adapt to the jump up. If the errors were to be removed from his game he could go on to another level as a footy player but until they do he will struggle to find his feet in the top grade. 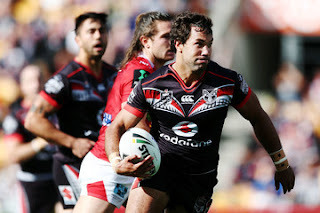 When the announcement that Blake had signed with the club was made, it was originally thought among most that he would play second fiddle to both Hurrell and Kata. Ayshford seems to be one of many players to pull on a Warriors jersey that gets ridiculed relentlessly, regardless of form or what they bring to the table. Up until the last half a dozen or so rounds, Ayshford was by far one of our best performers. It was unfortunate that his form was affected late in the season due to a back injury and it's that form in particular that fans would rather remember for reasons I cannot explain. Not only was he one of the better performing players throughout 2016, he was also one of our better try scorers, finishing behind only Johnson, Fusitua and Kata. Also interesting to note is the remarkable defensive improvement shown this season by Ayshfords centre partner, Kata. Is the almost unbelievable improvement in Kata's (defensive) game merely a coincidence that it coincides with the inclusion of a renowned "defensive centre" at the club? I'll let you decide that one. Was sad to see RFM leave the club after looking good in the trials. Unfortunately, these things happens and it is virtually impossible to keep all the talent on the roster. Fusitua has been a young bloke with huge wraps attached to him from a young age. After forcing his way into the first grade squad as a 19 year old he showed glimpses of what he could offer as well as showing where his weaknesses lay during his debut season. After having a particularly horrid run with injuries, his return to the game in 2016 saw him take every opportunity given to him with both hands and excel in whatever position he was selected to play in. A gifted athlete who is incredibly agile for a big bloke, Fusitua made many a highlight reel with some of his outstanding try scoring efforts. 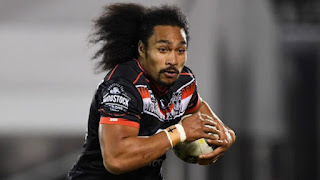 After being forced to cover wing, fullback and centre, Fusitua rarely put a foot wrong in any of the aforementioned positions and is certainly a player the club will be wanting to lock up long term.